Patients told us they do not want to call to schedule a ride which results in using up valuable cell phone minutes while they are placed on hold. They do not want mobile apps because they cannot afford data plans. Most importantly, they want to have a timely and reliable ride after their appointment has been completed. So we knew we had to change the process to streamline the patient experience. 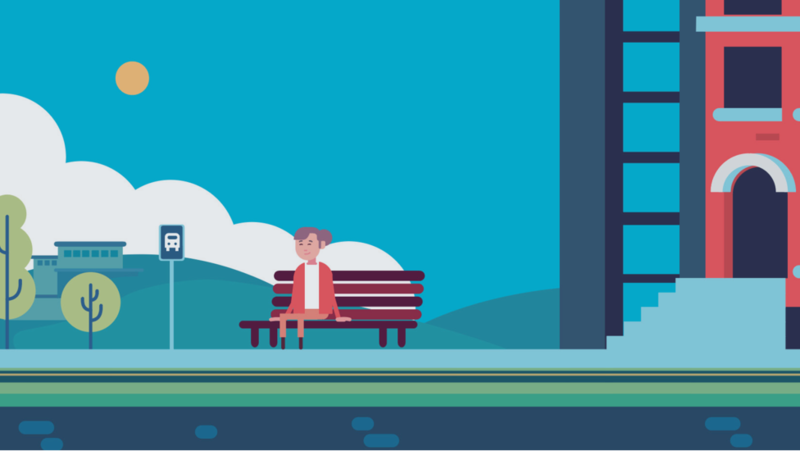 Hitch Health is an innovative software product that integrates any appointment system with any ride service to seamlessly and proactively remove transportation barriers and reduce no-show rates. 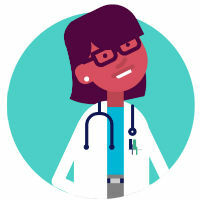 The patient schedules a clinic appointment which is entered into the electronic health record used by the health system. 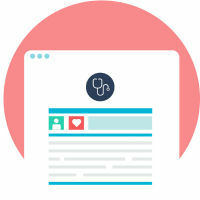 A CSV file is automatically created daily with patient appointment data. This is automatically uploaded onto a secure server where Hitch Health software retrieves it for filtering. 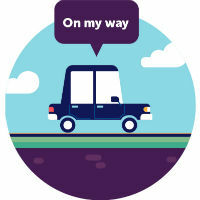 Hitch Health uses provider criteria to filter and identify appointments eligible for rides. Hitch Health proactively and automatically send patient ride offers via SMS text when appointment data meets the criteria. 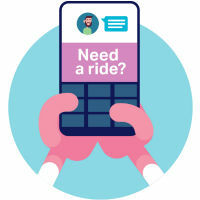 After the patient opts in to the program and accepts the ride offer, Hitch Health will automatically dispatch the ride on the day of the appointment. 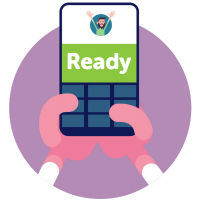 When a patient is ready to go home they text "ready" which immediately dispatches a ride to pick them up from the clinic. Given the high cost of specialty care, the money lost on one no show is significant. Continuing to use Hitch Health&CloseCurlyQuote;s software and help patients get to their appointments could increase our health system&CloseCurlyQuote;s overall revenue greatly. In just one month of using Hitch Health&CloseCurlyQuote;s software, we are happy to see a high number of patients taking advantage of the program. The improvement in the services and experience for our patients is significant and I assume we will see an increase in arrived appointments in months to come. I like how patient-centered the Hitch Health texting software is. Leaving it in the patients&CloseCurlyQuote; hands makes the whole experience much easier and enjoyable for them. Hitch Health&CloseCurlyQuote;s software is awesome. It really alleviates the stress of extra scheduling time and frustration on the phone for our front line staff. It&CloseCurlyQuote;s so much more efficient than the current process. It&CloseCurlyQuote;s really easy for our patients to use. We look forward to being able to use this in all of our clinics! This was my first time taking any taxi anywhere. The driver was nice and it was really easy to get to my appointment. I&CloseCurlyQuote;d absolutely tell my friends about this program. Dr. Truwit has committed his career to public sector healthcare, serving in the US Army, at the U of MN, and the past 20+ years at HCMC. He founded Hitch Health in 2017 with the goal of improving health in the safety-net population by addressing transportation barriers to health. Dr. Truwit has contributed over 130 articles to the neurosciences literature, holds 28 medical device patents, co-founded Image-guided Neurologics (now Medtronic-IGN) and is a General Partner of Seraph Angel Fund. He completed his residency in Radiology at Brooke Army Medical Center and fellowship in Neuroradiology at UCSF. An accomplished marketing and product executive with extensive experience in the healthcare and financial services industries, Susan Jepson founded Hitch Health in 2017 to focus on promoting health equity for all. Susan’s expertise is in consumer acquisition and retention strategies and retail healthcare product innovation. She is passionate about leveraging innovation to transform the healthcare experience. Susan earned a BSN from the College of St. Benedict and an MPH from the University of MN. While she has spent her career specializing in communications, technology and project management, Stephanie joined Hitch Health in 2017 to make an impact on the underserved population. Her passion for helping those in need extends to hosting an annual fundraiser that benefits veterans and their families who suffer from traumatic brain injuries, post-traumatic stress disorder, and homelessness. She has her Bachelors of Science in Mass Communications and Public Relations from Minnesota State University Moorhead. Chris is a life science and digital health veteran who has created pre-IPO commercial and strategic plans for domestic and international companies. He has taken a biotechnology startup from 0-$35 million in revenues and has developed expansion plans for medical device companies throughout the U.S. He is an advisor to several early-stage life science and digital health companies and is a Fellows Chair at St. John’s University. Ava joined Hitch Health in April 2018 as an account manager. She has experience working in the Healthcare and start-up industries, and is passionate about serving client needs. She enjoys utilizing her strengths and experience in customer service as well as innovation to make a difference at Hitch Health. She has her Bachelor of Arts in Economics and Management Studies from St. Olaf College. © 2017 Hitch Health. All rights reserved.